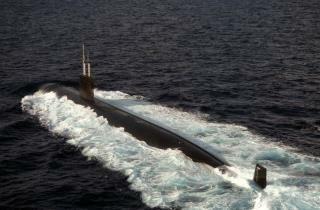 (Newser) – A sailor who photographed classified areas inside a nuclear sub finds it deeply unfair that he's probably on his way to prison while Hillary Clinton might be on her way to the White House. Petty Officer 1st Class Kristian Saucier, 29, pleaded guilty in May this year to retaining national defense information without permission in 2009, Politico reports. He could get up to 78 months in prison when he's sentenced on Friday, but in a court filing, his lawyer argues that probation would be more appropriate because he possessed just six classified photos from the USS Alexandria—and Hillary Clinton wasn't punished for having 110 emails on her private server that contained information considered classified. they should both be in the slammer! There has to be allot more to this story. Given how two others were fined and suspended. Who does he think he is? A Clinton?